It seems like most everyone has a blog these days – whether it’s a personal blog or blog focused on professional acceleration. But let’s face it – not all blogs are created equal. Some lack focus while others lack purpose. So how do you make a successful blog? When you are just starting out, consider these five things that you should know before starting a blog. Everyone has their own reason to blog. Perhaps you’re a stay-at-home mom with humorous stories of your day that you want to share – not to mention great tips about things to do with the kids, get any stain out of any fabric, or any number of awesome share-worthy tips. Or you’re a seasoned professional looking to drum up new business and position yourself as an industry expert and thought leader. 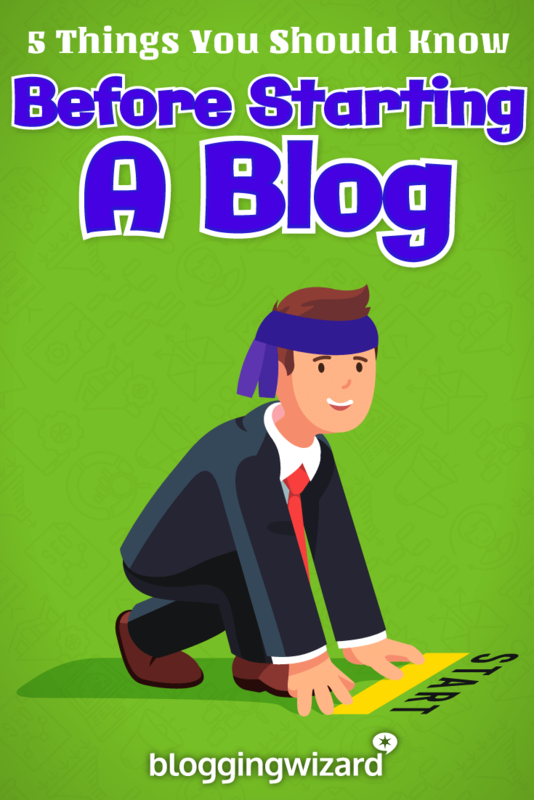 There are countless types of blogs and reasons for blogging, from networking to building brand authority, growing a business, expanding your reach online, providing oneself a creative outlet, and more. As an added benefit, many people find blogging a great way to bring in some additional income – if not turning their blog into a full-time revenue stream. Blogs can directly earn income by monetizing them. In most cases, people monetize their blog by taking on advertisements. There are numerous programs that people use, but AdSense by Google is one of the most popular sources. Google places companies’ pre-generated ads in spaces that you allocate on your blog based on relevancy and post topic. Advertising companies pay either per click or per impression – and you as the blog owner receive payment accordingly. How much you earn depends on a variety of factors, not least of which include the popularity of your blogs. The more visitors you have, the more your ad space costs. Additionally, in order to be eligible for the Google AdSense program, your blog must have been in existence for a minimum period of time and have regular and consistent posts – these requirements are there to ensure that your blog provides value and that your ad space is, in fact, worth the cost to Google’s Ad clients. One of the biggest decisions you will need to make when you start a new blog is how you will host that blog. Hosting is in essence what takes your blog live to the world – it is the virtual home for your blog, storing your blog’s assets (data, images, etc.) and linking it to the live internet. But hosting a blog is a bit more complex than just picking a web host: for starters, you need to decide on your hosting configuration. A self-hosted blog means that you will host your blog within an established hosting environment, but for a monetary fee. This paid hosting environment will provide you with a series of benefits, including larger storage and bandwidth, site security, customer service and technical support, features such as monetization opportunities and customization options, and more. With a self-hosted blog, you are able to select your standalone domain, providing you with an easy-to-remember domain name that you are in complete control of. This is the best option for professional bloggers. For example, WordPress.org is one of the most popular self-hosted blogging platforms. Find out the benefits of using WordPress in this post. There are many free hosting options out there for bloggers – WordPress is one of my favorites. These free platforms offer an affordable way for people to launch their blogs with a pre-established content management system (CMS) for easy post creation and editing. Additionally, they typically offer a selection of pre-developed templates so that even the most novice blog owner can launch their blog without needing to have design prowess, knowledge of HTML, or programming/ coding expertise. That said, free hosting options provide a series of limitations and, as such, are best left for casual hobby bloggers who are not looking to monetize their blog or to use it for professional purposes. For example, you cannot use Google AdSense or any third party advertising at WordPress.com. You are also expressly forbidden from running sponsored or paid posts or content – see WordPress.com advertising policy for more. For starters, free hosting comes with size limitations which will limit the number and size of photos or images that you can include. They may include free plug-ins to add functionality, but at some point, you will need to upgrade if you want to do things like conduct sweepstakes or giveaways or other enhanced activities. From a professional blog standpoint, free hosting situations can potentially hurt your blog’s search engine performance. If you’re blogging professionally, you most likely want as much traffic as possible – so things like fast load times and a quality domain name are important; free hosting options can sometimes inhibit both of these, lowering your search engine ranking. Beyond the lack of monetization options, free hosting organizations typically include an extension on the end of your domain – for example, myblog.com might become myblog.wordpress.com. This extension not only makes your blog more difficult for people to find and remember, but it also detracts from your credibility and professional image. If you are blogging as a hobby, then a free hosting option might be a great option for you – but if you are blogging professionally, you should look for a self-hosted option. The other problem comes when you want to move away is redirecting individual URL’s – some platforms don’t allow this and it’s worth noting that if some do allow a catch all redirect; your content will lose the authority it once had in search engines and any referred traffic. WordPress.com does offer a site redirect service which can take care of this, but currently costs £9/year so there is an option there. Note: some services do support custom domain names. There are numerous blogging platforms out there (and most are free) – but before we get into some of the various providers, it is important to note that a blogging platform is different than hosting. Although some blogging platforms also serve as hosts, some, such as WordPress, can also function as a way to develop and edit your blog – even though you can host as a self-hosted blog. Blogger.com is Google’s blogging platform. 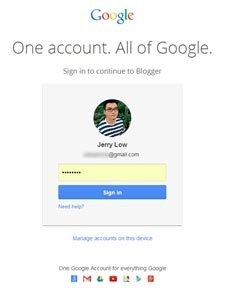 One thing that is convenient is that you can use your existing Google account for your blog, linking your accounts and leaving you with just login to remember. Also, Blogger links with Google’s countless other tools, including AdSense, Google Analytics, and more. This free platform includes several design templates and also seamlessly publishes to Google+ — not to mention that there are free apps so that you can post and edit on-the-fly through iPhone and Android devices. 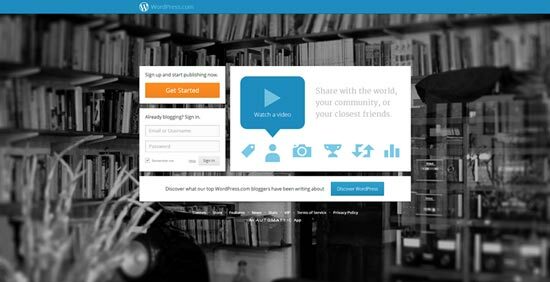 WordPress.com is WordPress’ free blogging platform. Because it is free, users do not receive a customized domain name or customized design. 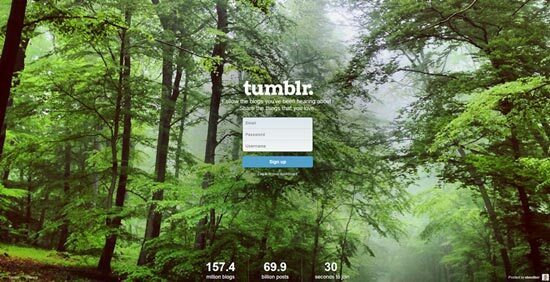 Tumblr currently hosts more than 167 million blogs! Many of the blogs Tumblr is known for are constructed in list form with small commentary paired with GIF images – but Tumblr can do more than that. As with any free hosting option, Tumblr includes an extension on the end, but it does provide a directory of Tumblr blogs to help your site gain traffic and visibility. PostHaven is a duplication of Posterous – a retired email posting blogging platform that was so popular back in 2010. Posterous cofounder Garry Tan left the company when the startup pivoted. He and another Posterous cofounder, Brett Gibson, recreated the blogging platform when they heard Twitter planned to shut it down in 2012. Today, PostHaven is seen as the perfect alternative for those who were using Posterous previously. To post on your PostHaven blog, simply send an email to post@posthaven.com (you’ll need to register first though). Simple! While email-based blogging might not be for everyone, it is amazing to see how much you can get done with a single email. Note: PostHaven currently costs $5/month so isn’t free like other alternatives but has a great pledge about how this platform is different to others. As alluded to earlier, your domain is a critical part of your identity – it is what people call you by and how they find you on the web. Your domain is literally your www. URL address. That said, make sure it’s a quality one – as you select your domain, consider the following. Make your domain easy to remember. Short and sweet is gold here – use as few letters and words as make sense and as is plausible. Remember that numbers and punctuation often confuse visitors unless they are an actual part of your name (for example, 123prints), so as a general practice, avoid them. Your domain name should be relevant to your business and give potential visitors an idea of what it is that you offer. Keep your domain legal – before you purchase your domain, run your potential domain through checkers such as http://www.copyright.gov/records/ and http://www.uspto.gov/trademarks/ to ensure that it is in fact available. If your preferred domain name is taken, try to come up with an alternative, rather than taking a backup extension, such as a .net or .biz. .Com remains the preferred extension and the one that most consumers will head to – using an alternate extension is bound to cause you to lose potential business. In case you need more help – here are another 10 tips for choosing the right domain name. Web hosting is equally important because it is what brings your domain and blog into existence. Furthermore, your site’s load time affects your conversion rates and user engagement and can even affect your search ranking. Know your provider’s uptime record – downtime loses business, so make sure that your site will not have much of it; anything less than 99% uptime is unacceptable. The overall price – some providers pull a bit of a bait and switch with fabulous introductory pricing that jumps after your introductory period; know the full cost implications of your commitment as well as any potential add-on costs not included in your monthly cost. How often does the hosting provider do backups? Quality providers offer 24/7 service with a live person either via chat or even, for some, over the phone. You have most likely heard that “content is king.” Truth be told, that’s not true; traffic is king. Traffic is what keeps your blog alive – without it, you have no readers. And without readers, you lack purpose at the very least. This may not be a huge ordeal for hobby bloggers, but for professionals who are blogging in order to find new business or to position themselves within the market place as a thought leader or leader in their space, it is the difference between finding and winning new business and remaining unknown and unfound. For bloggers using their blog to earn income, a lack of traffic means a lack of income – without traffic, ads do not display or receive clicks which not only affects the immediate bottom line, but also lessens the blog’s future earnings by lowering its ad costs. So how do you gain traffic? Marketing – and as a blogger, it’s important to understand how web marketing works. Planning is also a huge factor. You need to discover what type of content works in your niche – if you don’t then you could just be wasting your time. There are countless ways to bring traffic to your blog, but they all require getting your name out there and getting visible. Using social media can be a great way to get more traffic to your blog. Although, it can definitely take time to get started. Start off by focusing on a single social network and building a natural following. Avoid buying followers and cultivate real relationships. You also need the right tools for the job – otherwise you can find yourself spending hours without getting any traction. Above all else, it’s important to understand that social media is about more than just broadcasting your content to those who follow you. Guest posting on influential blogs within your niche is a great way to get noticed and can prove a valuable source of traffic. You may not get the volume of traffic that you are really looking for but quality beats quantity. The big difference here is that the people that visit your blog know who you are and they want to hear what you have to say. If people like what they read, they’ll sign up to your list and keep coming back for more. This challenge that most people face is successfully reaching out via email to secure guest posting opportunities when so many bloggers are getting an incredible amount of spam guest post related emails every day. Some will give your blog a shoutout while others will trade ad space or even give you a guest column. Consider advertising on relevant industry pages or through social media, like Facebook. Advertising doesn’t have to be expensive if you are smart about it and narrow your target audience. Sites like Outbrain.com can use used to display your content at the bottom of articles on high traffic websites like Fast Company and RollingStone.com for a very affordable price. The money is in the list – said Adam in his article on how to build more email subscribers. If you are running an online business, you need a way to stay in touch with you prospects and customers. The same goes with blogging. And since theoretically, every single person online owns an email address, building an email list is one of the most effective ways for doing it. Bribe your readers, give them something valuable (an ebook, a free membership for limited time, etc) in exchange of their email address. Your blog traffic can drop and advertisers can come and go. But if you look after your list carefully – it’s forever yours. No matter what efforts you take or how much you promote yourself, remember that it takes time to build a quality, authoritative blog and even more effort to build a loyal readership. The money will come eventually, but blogging is not a get rich quick scheme by far – if this is your end game, consider buying a lottery ticket instead; the odds are higher. Throughout your blogging journey, you need to be open to the idea of learning new things if you want to be successful. Adam is currently offering a free guide when you subscribe to his mailing list that discusses some of the core principles that you need to know in order to be successful. This guide is also undergoing a complete rewrite so you can expect the updated version to be more detailed and give you plenty more insights to help you. Jerry Low is a geek dad who is passionate about SEO and blogging. His website Web Hosting Secret Revealed (WHSR) features dozens of web hosting reviews written based on real test accounts. Get more from him on Google+.